Deeonn was born February 27, 1955 in Omaha, Nebraska to Gordon and Peggy ‘Miller’ Ohle. She was raised in Carter Lake, Iowa and attended Thomas Jefferson High School in Council Bluffs. After high school she married Vere Marr and together they had two children, they later divorced. Deeonn had a lengthy career as a truck driver. Her greatest joy was traveling with her mother toward the end of both of their careers. In 2006, she married Orville McDonald. They lived in Howells and finally settled in Snyder. Deeonn was a strong woman through her many trials and tribulations. She continued to be a hard worker and loved life. Deeonn is survived in life by her husband Orville ‘Mac’ McDonald of Snyder. Her children, Adam (Michelle) Marr of Omaha and their family Gabrielle, Hayden and Aubrey. Roxanna (Charles) Fink of Red Oak, IA and their family Forrest, Alexandra, Cristopher, Savannah and Novalea. Jeremy (Marlene) Wilcox of Fremont and their family Dominic, Athena, Abileen and Azalea. 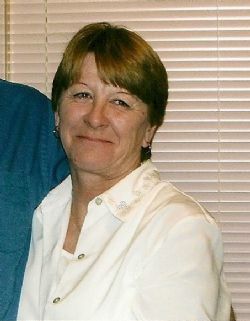 Her Siblings Lewis ‘Butch’ (Valerie) Ohle of Knoxville, TN. Roxanna (Bob) Oberholtz of Guthrie Center, IA. Rodney (Ilean) Ohle of Council Bluffs, IA. Michael (Mary) Ohle of Bellevue. Laura (friend Chuck Adkins) Sorenson of Minden, IA. Jody (Ray) Kingsley of Randolph. Step-children – Tracy Ann McDonald of Omaha. Jeanne (Eric) Lackore of Weeping Water. 10 step grandchildren. Many nieces and nephews. Beloved Dog – Zip. Deeonn was preceded in death by her parents. The celebration of Deeonn’s life will be Saturday, February 2 at Heafey Hoffmann Dworak Cutler West Center Chapel (7805 West Center Road) in Omaha at 4pm. Memorials may be directed to the family.